There is also a well stocked supermarket on site. 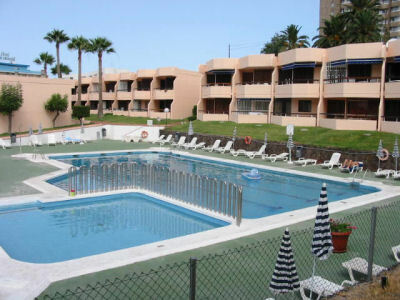 It is located in a quieter part of Los Cristianos and is just a short distance from the beach and the town centre (just 5 minutes walk), where there are a selection of fabulous bars and restaurants, some with entertainment. There are also numerous boutiques and arcades, and flood lit promenades where you can stroll in the evening. 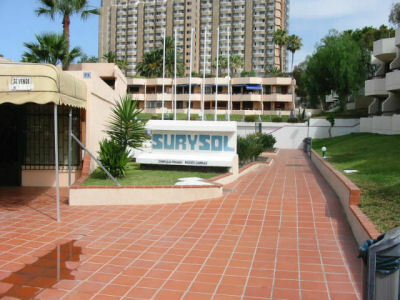 Los Cristianos has a unique atmosphere and is very family oriented. There is also a taxi rank within one minutes' walk and bus stops within 5 minutes walk, from where you can access other areas of the island. The apartment complex, being fairly level is ideal for wheelchairs or the infirm. Guests also have full use of the amenities and organised activities at the adjoining Atlantida Bungalows Hotel, including the bar with evening entertainment. We have one apartment on this complex, which has been specially adapted for wheelchair users. Please ask us for information and availability on Sur y Sol 8.